Visualize the relationships between related locations with StarMap. 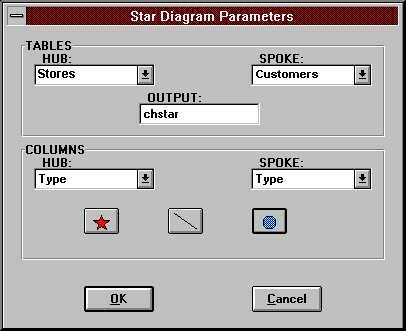 StarMap runs within MapInfo Professional and creates vector connections between two related point files (i.e. stores and their customers). Visualizing the relationships between customers and store locations; evaluating optimal distribution networks; defining store trade areas and trade area overlap. Spatial Insights' StarMap application runs within MapInfo and was designed to facilitate the visualization of geographically related, point-based data. StarMap was inspired by end user requirements, and has an easy to use, intuitive interface. StarMap was designed for professionals involved with market research, distribution studies, trade area analysis, and location/allocation studies.